Netflix hires awards veteran Julie Fontaine to run PR — and Oscar campaigns. 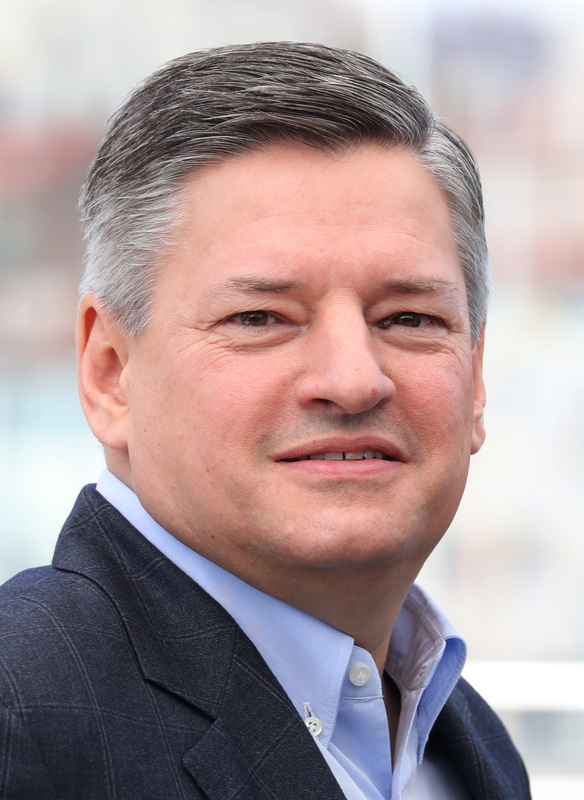 Content chief Ted Sarandos explains why he believes Netflix can win. Watch chief content officer Ted Sarandos work the room at the recent Produced By Conference, or at the AFI tribute to Diane Keaton, and he looks like a studio chief. And with yesterday’s announcement of Lionsgate executive Julie Fontaine’s hire as head of motion picture publicity, Sarandos confirmed his intent to make Netflix Hollywood’s premier film and television studio — and that includes winning Oscars. Fontaine is a veteran of both Disney and Miramax, and most recently ran awards campaigns on four Lionsgate releases. Last year saw 26 nominations for Best Picture nominees “La La Land” and “Hacksaw Ridge,” as well as partner CBS Films’ “Hell or High Water” and “Deepwater Horizon.” Joining her on Netflix’s Oscar visonquest are Los Angeles PR firm Ginsberg/Libby, as well as not one but two top-flight Oscar strategists in Cynthia Swartz and Lisa Taback. Netflix has already proven that it can swoop in to finance movies the studios don’t want to make, from David Michod’s satiric “War Machine” starring Brad Pitt to mob drama “The Irishman” from Martin Scorsese. Of course, many filmmakers want their movies to be seen on the big screen. And while most Academy voters watch Netflix, they still regard theatrical box office as the litmus test for success and failure. In 2015, Netflix gave Cary Fukunaga’s well-reviewed Telluride drama “Beasts of No Nation” a two-week Oscar qualifying release through Bleecker Street and Landmark Theatres; it earned $91,000 and no Oscar nominations. While Sarandos remains very vocal in his commitment to the Netflix experience, it’s clear that half measures will avail him nothing as far as Oscars are concerned. And so, while former Universal president Scott Stuber now runs motion pictures, the most significant hire for Netflix’s Oscar future lies with Fontaine overseeing PR. Sarandos is a fast learner, but is this fast enough to turn $12.5 million Sundance acquisition “Mudbound,” an ambitious post-World War II southern epic starring Carey Mulligan, Garrett Hedlund and Jason Mitchell, into an Oscar contender? That’s where Fontaine comes in: She knows how to reach Oscar voters. I spoke with Sarandos after last month’s Produced By Conference around a range of topics, including a frank exchange on why Netflix wants to be in the Oscar business. Here’s our conversation. While you are chasing Oscars effectively on the documentary side [with nominations for “The Square,” “Virunga,” and “13th,” and a win for short “White Helmets”], “Beasts of No Nation” opened in theaters two years ago and was tainted as a failure. You weren’t able, despite support from critics, to turn it into a must-see for Academy voters. It was the coverage of the theatrical numbers. In almost every lead of “Beasts of No Nation” stories, that was the coverage. That’s the narrative. That’s very silly because we’re talking about the behavior of a couple hundred people. If it had been on three screens instead of 30, the per-screen-average would be great and it would be a hit. How ridiculous box office reporting is! “Straight Outta Compton,” a traditionally released movie and one of the best movies of the year, also didn’t get nominated as Best Picture. 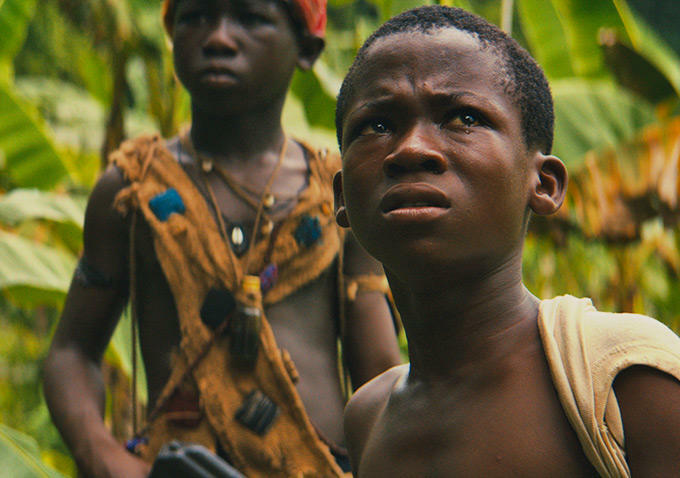 “Beasts of No Nation,” it’s not the kind of movie that gets to the top of the screener pile for voters. It’s a hard watch. The way Abraham Attah and Idris Elba were positioned, there’s a belief they both got votes as actor and supporting actor and not enough in either category to get either. For the second time, you’ve tried to get voted onto the Academy board of governors. I was told Spielberg tried eight times. The only influence I hope to have on that process is that the Academy remain an organization that celebrates the art of filmmaking. I worry that the things we spend time talking about are irrelevant to the fans, who don’t have any idea what ‘windows’ mean. I believe that business models and conventions should serve art and not restrain art. If we’re not to celebrate movie A or B because of its business model or window, then we’re getting out of step with the thing we are trying to celebrate. Why do you need Oscars? Ted Sarandos ‘Okja’ photocall, Cannes. We don’t need Oscars at all. I just don’t want our filmmakers to be disqualified for it because they did their movie with us. I want their films to compete for the Oscars on equal ground. Next: Why Sarandos believes that Oscar voting can begin at home.